Services - Welcome to Air Conditioning Studio City! We not only repair and install air conditioning and heating systems we also have great service plans to keep those systems working without a hitch. The good thing about providing maintenance is it will keep any air conditioning and heating system running for many years, you will also find you will have 80% less breakdowns over the lifespan of the system as opposed to those systems that have never had service. And you will constantly be breathing in clean air which means less allergies being pumped out in to the air. Ask yourself this question. When was the last time I had my air conditioning and heating system serviced? If you can’t remember when then there is a good chance you need to get is looked at. Some of the things our technical staff will assess and look over are. This is just a handful of checks we perform; the main checklist will consist of 30 checks that will cover every part of the HVAC system. You will receive a full copy of the report and what work has been carried out along with a recommended date of re-servicing the system. 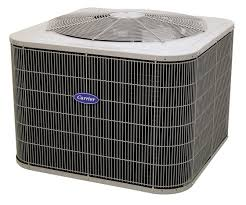 Should you have any problems at anytime with your air conditioning and heating unit then do not hesitate to get in contact with us.